Trujillo is a small town that was declared of significant cultural interest in 1962. 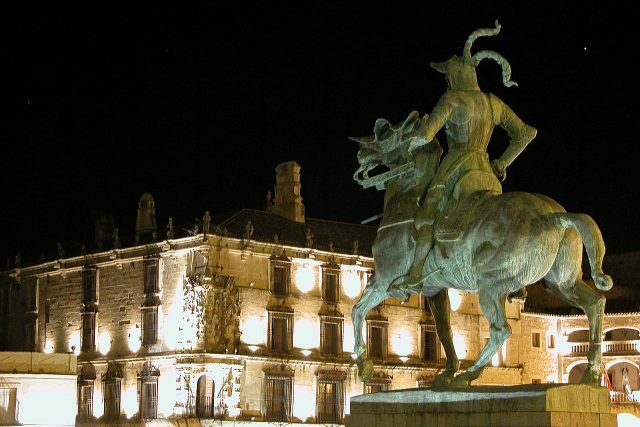 The Boutique Hotel Casa de Orellana is located within the medieval part of Trujillo known as “La Villa”. This quiet part of the town is where many of the buildings of historical and artistic interest can be found. Buildings, monuments and sites of cultural and historical interest include; The Castle, Santa María la Mayor Church, Alcazar de los Altamirano, Casa de los Chaves, Puerta de San Andrés, La Alberca, La Coria, Calle Gargüera, Alcazar of the Bejaranos, House of the Escobar, House of the Alvarado, House of the Rol-Zárate and Zúñiga, House of Duarte, Plazoleta de The Orange Tower, Admiral’s Tower (among cypresses), Arch and Church of Santiago and Pizarro’s House Museum. 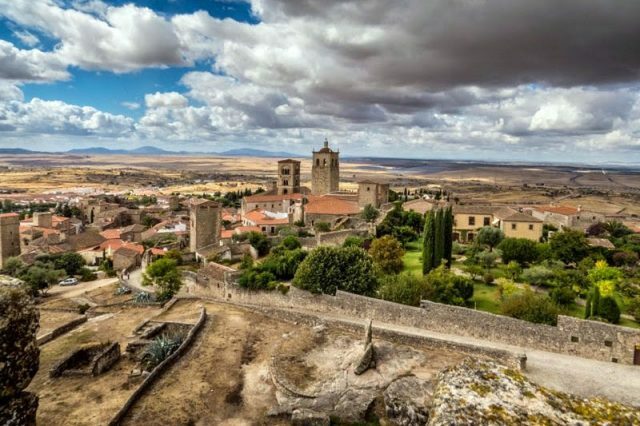 Trujillo enjoys a privileged geographical position; less than two and a half hours by motorway from Madrid or Seville, and three and half hours from Lisbon. 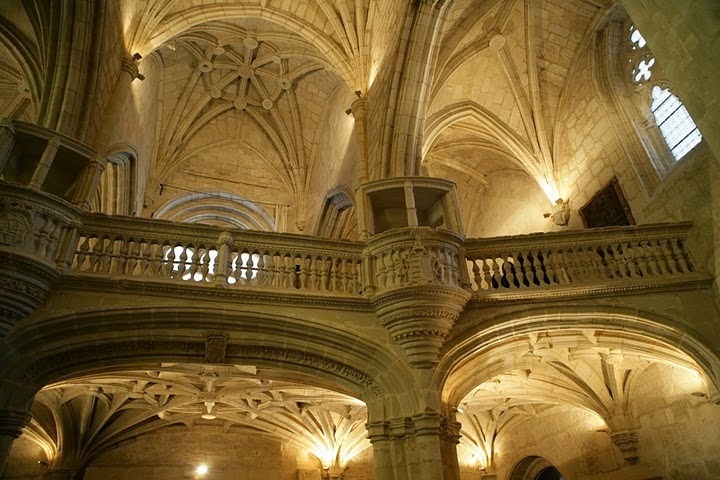 It is also close to the Ruta de la Plata, a pilgrim´s route to Santiago rivalling the Camino de Santiago. 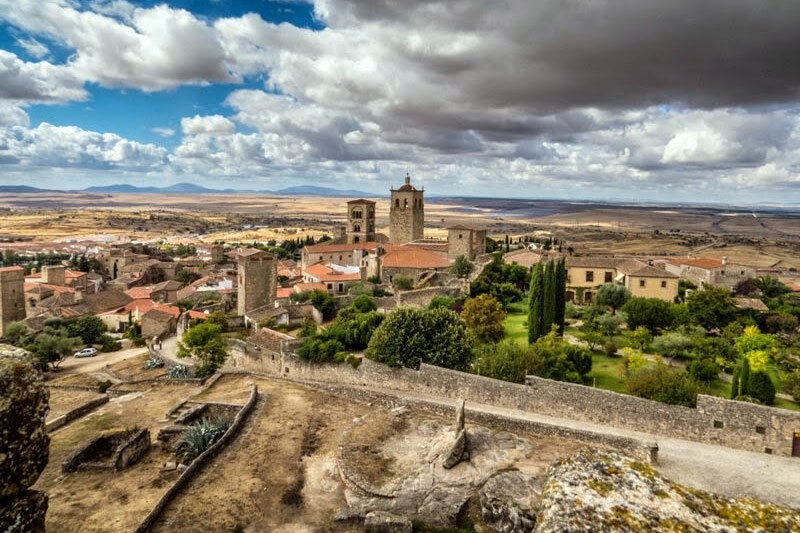 Situated between the Tajo and Guadiana Rivers, Trujillo sits within 2,500 square kilometres of diverse landscape including La Dehesa Extremeña and the Monfragüe National Park. With a population of approximately 10,000 inhabitants the small town boasts restaurants that provide excellent local dishes and wines. Palacio de la Conquista, Dukes of San Carlos Palace, private residence of the Marquis of Santa Cruz, Extremadura Royal Academy of Arts and Letters, Extremadura Center for Advanced Technologies CETA-Ciemat of Trujillo, Cervantes Barrantes Palace, headquarters of the Obra Pia de los Pizarro Foundation. 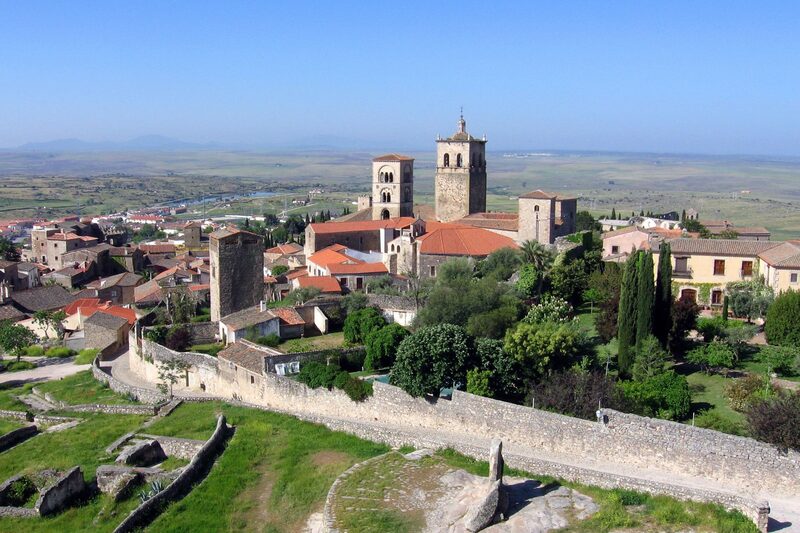 With Trujillo as a base, a variety of activities can be enjoyed in the surrounding area: explore the Extremadura dehesa; guided or independent visits to the Monfragüe Natural Park; visit the flowering cherry trees in the Jerte Valley in Springtime; excursions to the nearby cities of Cáceres, Guadalupe, Yuste, Plasencia and Mérida; hunt for wild game including deer, boar, pheasant, partridge, rabbit; tour local wineries. To stay up to date, visit the Activities section of our blog.